The Head Red backpack is part of the Head RED Special Edition designed to raise awareness and money for the Global Fund to fight AIDS, Tuberculosis and Malaria. 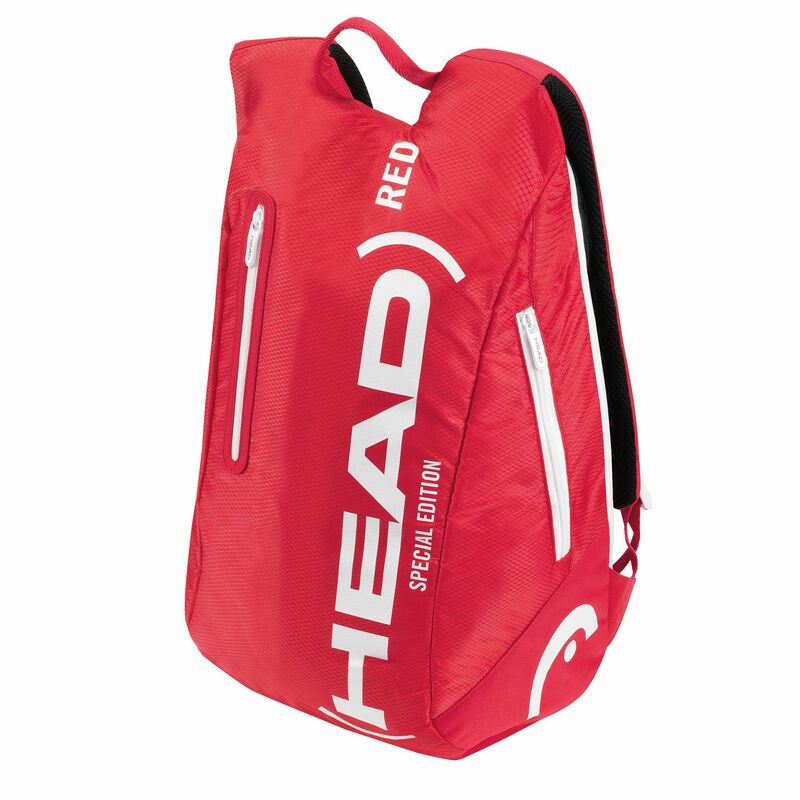 It is manufactured from Polyester (100%) and has a compartment for 1 racket. The backpack comes with an integrated shoe compartment and has a front zipper pocket for the necessities. In addition, 40% of the profits from every HEAD (product) RED Special Edition bag goes to the Global Fund to help fight for an AIDS free generation. for submitting product review about Head Red Backpack.